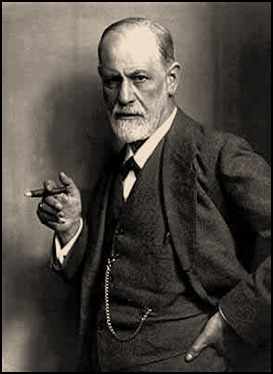 The Chicago Center for Psychoanalysis is a free-standing, nonprofit institute dedicated to the education of psychoanalysts and the practice of psychoanalysis. CCP offers a course of study leading to certification in psychoanalysis, a referral resource for those interested in receiving clinical services, and a general education program for therapists and other interested individuals. Its psychoanalytic training program is incorporated under the laws of the State of Illinois and adheres to Federal and State guidelines regarding nondiscrimination by race, gender, religion, and sexual orientation. CCP's training programs provide a broad and deep psychoanalytic education, reflecting diverse clinical, technical, theoretical, and historical points of view. Courses are taught by outstanding educators, all of whom have published and presented extensively in their areas of interest and were chosen to reflect the multiplicity of current theoretical perspectives and models of thought. The curriculum is designed to explore the fundamentals of classical psychoanalysis as well as the newest developments in psychoanalytic theory and technique. CCP candidates (students) are experienced clinicians prior to beginning their psychoanalytic training, with licensure as psychologists, social workers, or other mental health professionals. Candidates participate actively in their training by offering input to the Curriculum Committee, serving on other CCP committees, and acting as candidate representatives to the CCP Board. The Chicago Institute for Psychoanalysis is a not-for-profit organization founded in 1932. Our mission is to provide professional training in the theory and practice of psychoanalysis and psychotherapy and to enhance psychodynamic study through research and scholarship. We also seek to apply these principles to therapeutic services for the public, offering treatment for children and adults at reduced fees, to the benefit of underserved communities.